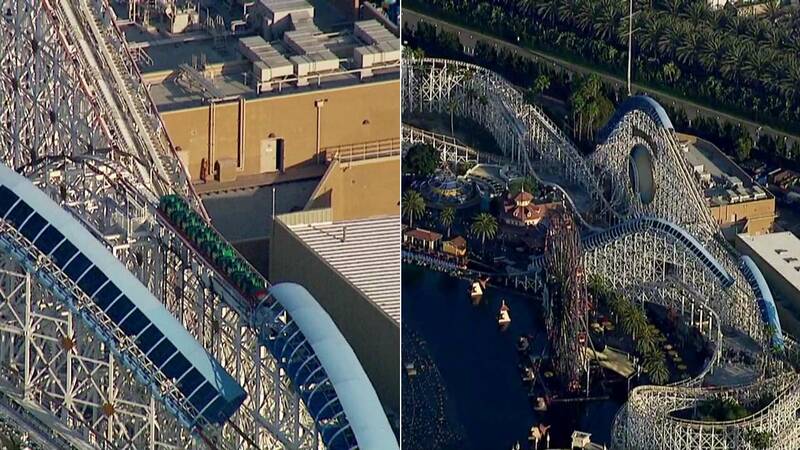 ANAHEIM, Calif. (KABC) -- A roller coaster ride at Disney's California Adventure park was stopped for about two hours, and it was all because of a selfie stick. The California Screamin' roller coaster was shut down Monday afternoon when someone pulled out the device. People were taken off one car at a time. The ride was cycled through and reopened. No one was hurt, but Disney bans the use of selfie sticks on moving rides because it could put passengers in danger.